I am delighted to announce that we will be opening a new room in the Nursery from September! This will allow us to accommodate the Ponies in two rooms. 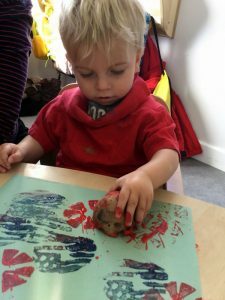 Foals 1 have been celebrating the Royal Wedding by making pictures using potato printing. 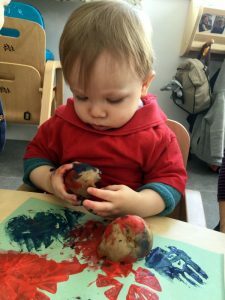 The children managed to cut two flag shapes into potatoes; the Union Jack and the American flag, to represent both countries and dipped them into red, white and blue paints. 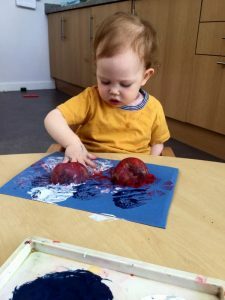 They then had lots of fun making wonderful pictures on paper! The children in Foals 2 have been looking at ‘Elmer the Elephant’. They listened to the story and then made their own Elmers and decorated them with potato cubes and lots of paint! 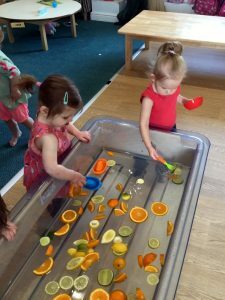 The little ones have also been exploring the textures, colours and smells of lemons, limes and oranges in water. 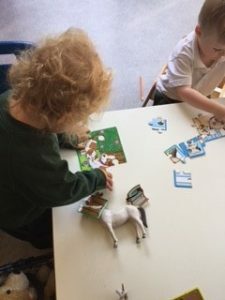 The Yearlings have been enjoying problem solving using puzzles and working together to help make pictures. 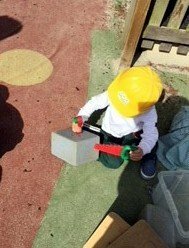 The children have also been focusing on construction play in the sunshine; they used the tools and building blocks to construct various towers! The Ponies were very excited to see that one of the tadpoles had finally turned into a frog! They are eagerly searching for more to metamorphisise. 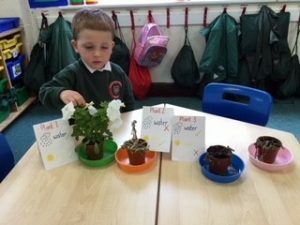 The children have been checking on the progress of our plant experiments to see what plants need to grow. With the use of pictograms, the children are able to say what each plant needs to thrive. 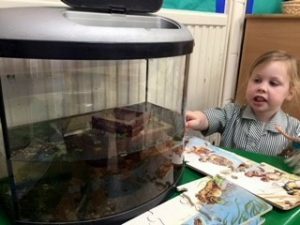 This experiment has helped the children to realise how important it is for us to drink lots of water to keep our own bodies healthy. Please could you ensure that your child brings a sun hat to Nursery, or has a hat which is left at Nursery, to wear during the warm weather? As always, please ensure that your child’s hat is named. 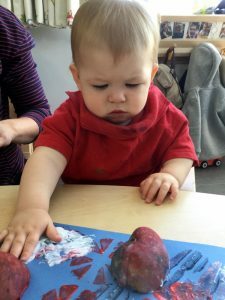 A reminder that a school day in the Nursery begins at 8.30am and finishes at 3.30pm (or 4.00pm if you are collecting an older child from school). Please ensure that if you are collecting an older child at 4.00pm that you collect your Nursery child first. If you drop your child off before 8.30am or collect after 4.00pm a full day rate will be charged. Thank you for your understanding. Please do not let your children go back into the playground at collection time and please keep your child with you at all times when you have collected them from the Nursery, taking particular care in the car park. Thank you. 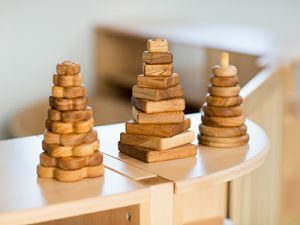 For those parents whose children attend the Nursery on a term time only basis, please note that the school breaks up for summer on Friday 6th July. 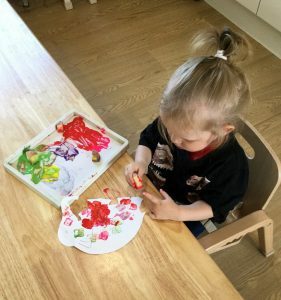 If you would like your child to attend any sessions after that date then please contact Lucie Melen and, if there is availability, we will be happy to book your child in for extra sessions. The Michaelmas Term will start on Monday 3rd September 2018.